We built a patio to the one side of the house that allows us to watch the birds feed, and some of these pictures I have shown on this site. We found that quite a variety were coming as long. While the birds still do come, the squirrel population is doing well, as they come to these feeders. 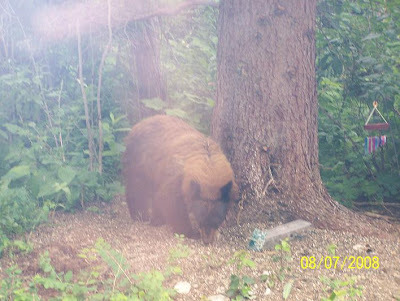 It seems to attract our friend Smokey too. 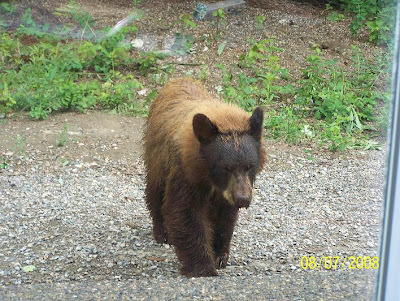 This is a black bear, and you wouldn't know it. My wife shot this photo, as I was talking to her from work. The cub was apparently interested on what was inside the house. Good thing the patio doors were not left open like we usually do. 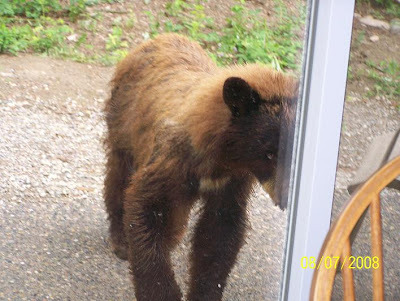 The interesting thing was the bear was actually coming to the patio window to have a look inside, and at one point actually stood on the house with it's front paws while leaning against it. This is the little bears second season. Not fifteen minutes before this little one showed up, my wife seen a Mother bear and her cub. It was obvious that Smoky was causing some distraction for the mother as the cub was chased up a tree. I think there is always an upper limit with which we can assign "our beliefs" and when given a set of tools with which to assess our current situations in science, we learn that what was once "inconceivable" can now be believable. So having assumed "this set of tools and the analysis's of the beauty" and it's allure, one can move forward, as I have, based on these premises. To take it into the world we know and operate in. Indeed, how fragile a "house of Glass." I have over my time researching the process here in science, learn to see the scientists in one form or another, equate themself according to the "peak realization and beyond" as something either God like, or, the allure of the "not believable." To me such a "systemic behaviour" can cause outward afflictions to the associates in science. These are less then wanting in regards to characterization. A religiosity's appeal to the beyond, whether atheistic as a position or not. This must be perceived as either being realistic, or felt wanting for, as an adherence to the ethics and morality of science. Has become something more then the topic of string theory itself. While we think about the issue in regard to science's pursuance, this has been deterred by other issues, as I relate them in regards too, "the Conceivable and the not Believable." Anomaly and the Emergence of Scientific Discoveries[/b] Kuhn now moves past his initial topic of paradigm to scientific discovery saying that in order for there to be a discovery, an anomaly must be detected within the field of study. He discusses several different studies and points out the anomaly that invoked the scientific discovery. Later in the chapter he begins to discuss how the anomaly can be incorporated into the discovery to satisfy the scientific community. There are three different characteristics of all discoveries from which new sorts of phenomena emerge. These three characteristics are proven through an experiment dealing with a deck of cards. The deck consisted of anomalous cards (e.g. the red six of spades shown on the previous page) mixed in with regular cards. These cards were held up in front of students who were asked to call out the card they saw, and in most cases the anomaly was not detected. I of course weight the relations and counterpoints held by Steven Weinberg in this case. I would rather think about the "essence of observation here" rather then the foundational ideas exemplified by the whole issue of paradigm change. I first read Thomas Kuhn's famous book The Structure of Scientific Revolutions1 a quarter-century ago, soon after the publication of the second edition. I had known Kuhn only slightly when we had been together on the faculty at Berkeley in the early 1960s, but I came to like and admire him later, when he came to MIT. His book I found exciting. Evidently others felt the same. Structure has had a wider influence than any other book on the history of science. Soon after Kuhn's death in 1996, the sociologist Clifford Geertz remarked that Kuhn's book had "opened the door to the eruption of the sociology of knowledge" into the study of the sciences. Kuhn's ideas have been invoked again and again in the recent conflict over the relation of science and culture known as the science wars. So we come to the real topic here. How one opens the door to what is considered "beyond." I will only point to the previous persons who have allowed themself the freedoms to move from a position of the inconceivable, who have worked the process in science, and come up with an idealization of what they have discovered. What it means to them now, as they assume this new "paradigm change," to the way the work had always seemed to them. I will point to the "airs with which such transitions" take place that the environment is conducive to such journeys, that the place selected, could be the most idealistic in terms of where one may feel that their creativity is most aptly felt to themselves. Of course such issues as to the temperances of such creativity is always on my mind too, yet it is of essence that life be taken care of, and that such nurturing understand that the best of society is always the luxuries with which we can assign happiness? Then these in society become the grandeur of art and culture to become, the freedoms of expression, while there is always this struggle to survive. What good is a universe without somebody around to look at it? This summer, CERN gave the starting signal for the long-distance neutrino race to Italy. The CNGS facility (CERN Neutrinos to Gran Sasso), embedded in the laboratory's accelerator complex, produced its first neutrino beam. For the first time, billions of neutrinos were sent through the Earth's crust to the Gran Sasso laboratory, 732 kilometres away in Italy, a journey at almost the speed of light which they completed in less than 2.5 milliseconds. The OPERA experiment at the Gran Sasso laboratory was then commissioned, recording the first neutrino tracks. Now of course most of you know the namesake with which I use to explain, is an aspect of the development of what are "shadows" to many of us, also, reveal a direction with which we know is "illuminated." We are streaming with the "decay path" all the while there is a sun behind us that shines. Now it is always an interesting thing for me to know that secret rooms can be illuminated, given the right piece of equipment to do the job. Somethings that will stop the process, and others, that go on to give indications of which these "massless particles" can travel. But no where is the penetration of the pyramidal model more apparent to me, is when it is used to explain the "rise of the colour theory" used on this site, to explain the nature of emotive sufferings, and it's ascensions, with which we can place the "colour of gravity" to it's rightful place. While one can discern the patterns in an ancient philosophical game of chance, what use to explain the underlying structure of abstraction, as we peer into the materiality of the object of this post? Do you know it's inherent geometrical nature, as an expression? Maybe, this is the Plato in me? Not a criminal "who hides" having perpetrated crimes against humanity, spouting a philosophy that some would pretend hides behind "the garb" of some "quantum cosmology?" Yes, no where is this measurable in nature at this time, other then to know that a philosophical position is being adopted. It may allow one to understand the brain's workings, alongside of the fluids that emotively run through our bodies. 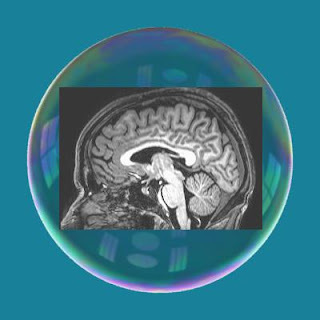 The "eventual" brain development toward it's evolutionary discourse, with the matter distinctions becoming apparent in the brain's structure, may be greatly enhanced in our futures? This is what is progressive to me about the work of Kip Thorne and Archibald Wheeler, as we look at the experimental processes of gravitational waves and the like, in LIGO. Is this proof of the gravitational waves? Is this proof of the Geon denoted by Wheeler to express, or the bulk, teaming with the gravitons? An event in the cosmos, allows us, while standing in the decay path of the expression, and as we turn with it, to know that a source can initiate, and allows us to see it's disintegration. WE are concerned with all the matter distinctions, while beyond this, is the expression of these schematically drawn rooms of energy, as we particularize them into neat boxes(things) for our entangled views, and loss of sight? To me, such a sun exists at our centres and such analogies, as I have drawn them here is to recognize that such a "heliocentric view" is not the idea behind our observations of the ego distinctions about self in the world, but a recognition of our connection to what pervades all of us, and connects us. Now this path streams onwards, no different then in the way we move into the materiality of the world we live in. While of course you see the bodies of our expression. You see the "emotive functionings" on our faces, primitive as it can be, as well as, the intellectual abstraction that is part of the inherent pattern of that expression into materiality. The "sun still shines" from that deeper place inside. 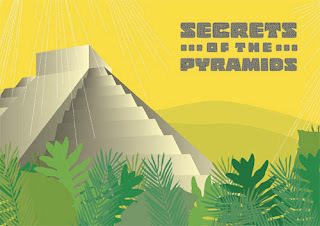 Secrets of the PyramidsIn a boon for archaeology, particle physicists plan to probe ancient structures for tombs and other hidden chambers. The key to the technology is the muon, a cousin of the electron that rains harmlessly from the sky. While the descent into the matters, one tends to loose sight of what is happening around them. Such a thing is the human part of us, as we think we are in the moment. While one may think they are in this "way station" it is ever the spot that we assign ourselves with or selections and happenings that we are connected too, in ways that are never understood, or looked for, as we progress these views about the reality we live in? How much farther is our eyesight granted into the materiality of things as we progress ever deeper into nature's structure, to think, this will bring us ever closer to that sun that shines inside? Lost souls were given directions in the manuals of the ancients to decipher this relationship with the world we live in, so that the understanding about perplexing paradigms that ensue the mind, may be set, "to live life" not to experience it's death. 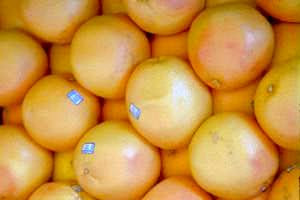 But to prepare that life beyond the limitations with which we assign our perception according to these material things. This is not to bring "the doom and gloom of micro blackhole creation" into the picture although I do see that the QGP arrived at can bring other perspectives forward, that would relegate questions to my mind. So to be clear then, the QGP is relativistic. This I understood already. This to me was an indication of string theories work to bring a GUT to the process. Of course I speculate. I am also speculating on the "loss of energy" in the collider process. To cool it, brings the "same process," as to the condition extended to the QGP? This is the point I am trying to make. If they are aligned? Now the quote above was addressed for clarification, and was caught by a spam filter. So the answer may or may not be forth coming. As a common folk, I am asking the question from one of ignorance, and would of course like an answer . It is not my wish to "propagate the untruthfulness" that any good scientist would wish to find deteriorates the quality of our current scientific endeavours as a society. String Theorists, for a million bucks, do you think you can answer "the question" and it's applicability? Now it should be clear here that while I speak of extra dimensions I am referring to that energy that is not accountable, "after the collision process and particle identifications have been calculated." Geneva, 10 April 2007. The first sector of CERN1's Large Hadron Collider (LHC) to be cooled down has reached a temperature of 1.9 K (–271°C), colder than deep outer space! Although just one-eighth of the LHC ring, this sector is the world’s largest superconducting installation. The entire 27–kilometre LHC ring needs to be cooled down to this temperature in order for the superconducting magnets that guide and focus the proton beams to remain in a superconductive state. Such a state allows the current to flow without resistance, creating a dense, powerful magnetic field in relatively small magnets. Guiding the two proton beams as they travel nearly the speed of light, curving around the accelerator ring and focusing them at the collision points is no easy task. A total of 1650 main magnets need to be operated in a superconductive state, which presents a huge technical challenge. "This is the first major step in the technical validation of a full-scale portion of the LHC," explained LHC project leader Lyndon Evans. There are three parts to the cool down process, with many tests and intense checking in between. During the first phase, the sector is cooled down to 80 K, slightly above the temperature of liquid nitrogen. At this temperature the material will have seen 90% of the final thermal contraction, a 3 millimetre per metre shrinkage of steel structures. Each of the eight sectors is about 3.3 kilometres long, which means shrinkage of 9.9 metres! To deal with this amount of shrinkage, specific places have been designed to compensate for it, including expansion bellows for piping elements and cabling with some slack. Tests are done to make sure no hardware breaks as the machinery is cooled. The second phase brings the sector to 4.5 K using enormous refrigerators. Each sector has its own refrigerator and each of the main magnets is filled with liquid helium, the coolant of choice for the LHC because it is the only element to be in a liquid state at such a low temperature. The final phase requires a sophisticated pumping system to help bring the pressure down on the boiling Helium and cool the magnets to 1.9 K. To achieve a pressure of 15 millibars, the system uses both hydrodynamic centrifugal compressors operating at low temperature and positive-displacement compressors operating at room temperature. Cooling down to 1.9 K provides greater efficiency for the superconducting material and helium's cooling capacity. At this low temperature helium becomes superfluid, flowing with virtually no viscosity and allowing greater heat transfer capacity. “It's exciting because for more than ten years people have been designing, building and testing separately each part of this sector and now we have a chance to test it all together for the first time,” said Serge Claudet, head of the Cryogenic Operation Team. For more information and to see regular updates, see http://lhc.web.cern.ch/lhc/. The conditions are now established to allow testing of all magnets in this sector to their ultimate performance. I am not going to go into the relevance here but to describe how "I speculate" the "extra energy is lost" while delivering the expected results of the LHC microscope in it's efforts. It is true such mathematics could seem cold and austere. Realizing the complexity of emotive and intellectual pursuances, on how such a gathering can be conducive to propelling society forward with the idealizations developed by looking within self. Something inherent, "as a pattern" within our nature? So self discovery and journaling become a useful tool, when all of life's events can be "different from day today." Emotive reactive mental changes, arising from some inherent understanding as a constituent of that group? Intellectual mathematical embracing to new societal futures? Knowledge. To become aware.I thought it better to remove from the comment lineup at Bee's. Backreaction: Openness in Science posting is linked here to show dynamical behaviour that has a basis with which to consider. The fundamental constituent of each individual by contribution can change the whole dynamics of society "by adding value" from the context of self, it's idealizations, which can become an operative function of that society as a whole. It was a "early recognition" for me as my pursuance to understand "mathematical relations" which can be drawn at the basis of society, our being, and it's commutative organizational faculties. These of course helped me to recognize that not only psychological models can be drawn, but that these dynamics could have been expanded upon by such diagrams, to illustrate, the patterns inherent in our natures and conduct toward other people. Now without understanding the evolution of the philosophy which I had developed along side of my everyday thinking, what use to mention emotive or abstraction nature of the mind if it cannot find it's relations to the physiological functions of the human body and brain? has recently felt justified in stating baldly that "game theory is a universal language for the unification of the behavioral sciences." This may seem an extraordinary thing to say, but it is entirely plausible. Binmore (1998, 2005a) has modeled social history as a series of convergences on increasingly efficient equilibria in commonly encountered transaction games, interrupted by episodes in which some people try to shift to new equilibria by moving off stable equilibrium paths, resulting in periodic catastrophes. (Stalin, for example, tried to shift his society to a set of equilibria in which people cared more about the future industrial, military and political power of their state than they cared about their own lives. He was not successful; however, his efforts certainly created a situation in which, for a few decades, many Soviet people attached far less importance to other people's lives than usual.) Furthermore, applications of game theory to behavioral topics extend well beyond the political arena. While I have always pushed to indicate the very idea that "mathematical organization" exists at the very fundamental levels of our being, this would not mean much to person in society who goes about their lives living the mundane. Without considerations of a larger context at play in society while ever recognizing the diversity that such probabilities such actions can take when groups of individuals gather together in this communicative relationship of chance and change. It is important to keep present the work in science that is ongoing so one sees the consistency with which this process has been unfolding and is part of what awareness does not take in with our everyday life. How a simple mathematic formula is starting to explain the bizarre prevalence of altruism in society Why do humans cooperate in things as diverse as environment conservation or the creation of fairer societies, even when they don’t receive anything in exchange or, worst, they might even be penalized? For me this becomes the question that is highlighted in bold as to such a thing as discrete mathematics being suited to the nature of the Quark Gluon Plasma that we would say indeed that "all the discreteness is lost" when the energy becomes to great? Systemically the process while measured in "computerization techniques" this process is one that I see entrenched at the PI Institute, as to holding "this principal" as to the nature of the PI's research status. Derek B. Leinweber's Visual QCD* Three quarks indicated by red, green and blue spheres (lower left) are localized by the gluon field. * A quark-antiquark pair created from the gluon field is illustrated by the green-antigreen (magenta) quark pair on the right. These quark pairs give rise to a meson cloud around the proton. * The masses of the quarks illustrated in this diagram account for only 3% of the proton mass. 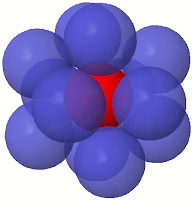 The gluon field is responsible for the remaining 97% of the proton's mass and is the origin of mass in most everything around us. 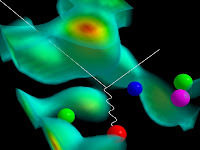 * Experimentalists probe the structure of the proton by scattering electrons (white line) off quarks which interact by exchanging a quantum of light (wavy line) known as a photon. Now indeed for me, thinking in relation to the 13th Sphere I would have to ask how and when we loose focus on that discreteness)a particle or a wave?). I now ask that what indeed is the fluidity of the Gluon plasma that we see we have lost the "discrete geometries" to the subject of "continuity?" So the question for me then is that if such a case presents itself in these new theoretical definitions, as pointed out in E8, how are we ever to know that such a kaleidescope will have lost it's distinctive lines? This would require a change in "math type" that we present such changes to consider the topologies in expression(this fluidity and continuity), in relation to how we see the QCD in developmental aspects. In a metric space, it is equivalent to consider the neighbourhood system of open balls centered at x and f(x) instead of all neighborhoods. 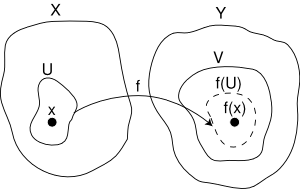 This leads to the standard ε-δ definition of a continuous function from real analysis, which says roughly that a function is continuous if all points close to x map to points close to f(x). This only really makes sense in a metric space, however, which has a notion of distance. Note, however, that if the target space is Hausdorff, it is still true that f is continuous at a if and only if the limit of f as x approaches a is f(a). At an isolated point, every function is continuous. I stick fast in the mud at the bottom and there I shall remain. How nice that one would think that, "like Aristotle" Darwin held to what "nature holds around us," that we say that Darwin is indeed grounded. 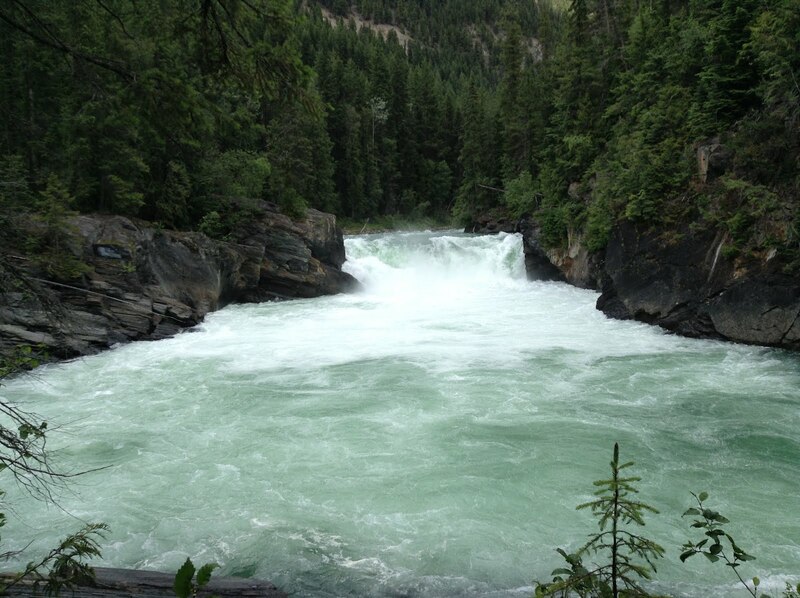 But, that is a whole lot of water to contend with, while the ascent to land becomes the species that can contend with it's emotive stability, and moves the intellect to the open air. One's evolution is hard to understand in this context, and maybe hard for those to understand the math constructs in dialect that arises from such mud. For me this journey has a blazon image on my mind. I would not say I am a extremely religious type, yet to see the image of a man who steps outside the boat of the troubled apostles, I think this lesson all to well for me in my continued journey on this earth to become better at what is ancient in it's descriptions, while looking at the schematics of our arrangements. How far back we trace the idea behind such a problem and Kepler Conjecture is speaking about cannon balls. Tom Hales writes,"Nearly four hundred years ago, Kepler asserted that no packing of congruent spheres can have a density greater than the density of the face-centered cubic packing." In three dimensions the answer is not so clear. It is easy to arrange 12 spheres so that each touches a central sphere, but there is a lot of space left over, and it is not obvious that there is no way to pack in a 13th sphere. (In fact, there is so much extra space that any two of the 12 outer spheres can exchange places through a continuous movement without any of the outer spheres losing contact with the center one.) This was the subject of a famous disagreement between mathematicians Isaac Newton and David Gregory. Newton thought that the limit was 12, and Gregory that a 13th could fit. The question was not resolved until 1874; Newton was correct. In four dimensions, it was known for some time that the answer is either 24 or 25. It is easy to produce a packing of 24 spheres around a central sphere (one can place the spheres at the vertices of a suitably scaled 24-cell centered at the origin). As in the three-dimensional case, there is a lot of space left over—even more, in fact, than for n = 3—so the situation was even less clear. Finally, in 2003, Oleg Musin proved the kissing number for n = 4 to be 24, using a subtle trick. The kissing number in n dimensions is unknown for n > 4, except for n = 8 (240), and n = 24 (196,560). The results in these dimensions stem from the existence of highly symmetrical lattices: the E8 lattice and the Leech lattice. In fact, the only way to arrange spheres in these dimensions with the above kissing numbers is to center them at the minimal vectors in these lattices. There is no space whatsoever for any additional balls. So what is the glue that binds all these spheres in in the complexities that they are arrange in the dimensions and all that we shall have describe gravity along with the very nature of the particle that describe the reality and makeup that we have been dissecting with the collision process? As with good teachers, and "exceptional ideas" they are those who gather, as if an Einstein crosses the room, and for those well equipped, we like to know what this energy is. What is it that describes the nature of such arrangements, that we look to what energy and mass has to say about it's very makeup and relations. A crystal in it's molecular arrangement? Each sphere in the E8 lattice is surrounded by 240 others in a tight, slop-free arrangement — solving both the optimal-packing and kissing-number problems in 8D. Moreover, the centres of the spheres mark the vertices of an 8D solid called the E8 or “Gosset” polytope, which is named after the British mathematician Thorold Gosset who discovered it in 1900. 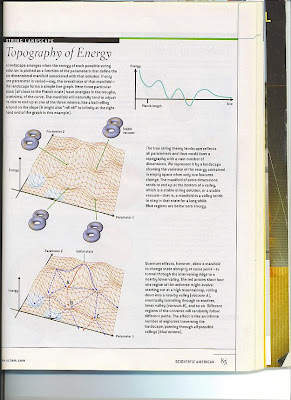 The following article is indeed abstract to me in it's visualizations, just as the kaleidescope is. The expression of anyone of those spheres(an idea is related) in how information is distributed and aligned. At some point in the generation of this new idea we have succeeded in in a desired result, and some would have "this element of nature" explained as some result in the LHC? A while ago I related Mendeleev's table of elements, as an association, and thought what better way to describe this new theory by implementing "new elements" never seen before, to an acceptance of the new 22 new particles to be described in a new process? There is an "inherent curve" that arises out of Riemann's primes, that might look like a "fingerprint" to some. Shall we relate "the sieves" to such spaces? At some point, "this information" becomes an example of a "higher form "realized by it's very constituents and acceptance, "as a result." By the time you're reading these words, this very article will exist as a line in Goldman's polytope. And that raises a fundamental question: If long articles full of twists and turns can be reduced to a mathematical essence, what's next? Our businesses -- and, yes, ourselves. On the other hand, look at Professor Klein: he is studying one of the most abstract questions of the theory of functions to determine whether on a given Riemann surface there always exists a function admitting of given singularities. What does the celebrated German geometer do? He replaces his Riemann surface by a metallic surface whose electric conductivity varies according to certain laws. He connects two of its points with the two poles of a battery. The current, says he, must pass, and the distribution of this current on the surface will define a function whose singularities will be precisely those called for by the enunciation. 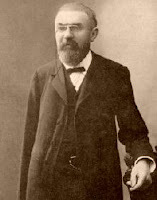 It is necessary to see the stance Poincaré had in relation to Klein, and to see how this is being played out today. While I write here I see where such thinking moved from a fifth dimensional perspective, has been taken down "to two" as well as" the thinking about this metal sheet. So I expound on the virtues of what Poincaré saw, versus what Klein himself was extrapolating according to Poincaré's views. We have results today in our theoretics that can be describe in relation. This did not take ten years of equitation's, but a single picture in relation. Imagine indeed a inductive/deductive stance to the "evolution of this space" around us. That some Klein bottle "may be" the turning of the "inside out" of our abstractness, to see nature is endowably attached to the inside, that we may fine it hard to differentiate.I give a example of this In a link below. While I demonstrate this division between the inner and outer it is with some hope that one will be able to deduce what value is place about the difficulties such a line may be drawn on this circle that we may say how difficult indeed to separate that division from what is inside is outside. What line is before what line. IN "liminocentric structure" such a topology change is pointed out. JohnG you may get the sense of this? All the time, a psychology is playing out, and what shall we assign these mental things when related to the sound? Related to the gravity of our situations? You see, if I demonstrate what exists within our mental framework, what value this if it cannot be seen on the very outskirts of our being. It "cannot be measured" in how the intellect is not only part of the "sphere of our influence" but intermingles with our reason and emotive conduct. It becomes part of the very functions of the abstractness of our world, is really set in the "analogies" that sound may of been proposed here. I attach colour "later on" in how Gravity links us to our world. I call it this for now, while we continued to "push for meaning" about the nature of space and time. Here’s an analogy to understand this: imagine that our universe is a two-dimensional pool table, which you look down on from the third spatial dimension. When the billiard balls collide on the table, they scatter into new trajectories across the surface. But we also hear the click of sound as they impact: that’s collision energy being radiated into a third dimension above and beyond the surface. In this picture, the billiard balls are like protons and neutrons, and the sound wave behaves like the graviton. While of course I highlighted an example of the geometer in their visual capabilities, it is with nature that such examples are highlighted. Such abstractness takes on "new meaning" and settles to home, the understanding of all that will ensue. The theorems of projective geometry are automatically valid theorems of Euclidean geometry. We say that topological geometry is more abstract than projective geometry which is turn is more abstract than Euclidean geometry. It is of course with this understanding that "all the geometries" following from one another, that we can say that such geometries are indeed progressive. This is how I see the move to "non-euclidean" that certain principals had to be endowed in mind to see that "curvatures" not only existed in the nature of space and time, that it also is revealed in the Gaussian abstracts of arcs and such. These are not just fixations untouched abstractors that we say they have no home in mind, yet are further expounded upon as we set to move your perceptions beyond just the paper and thought of the math alone in ones mind. 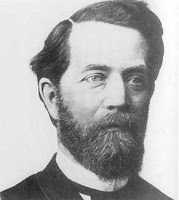 Felix Christian Klein (April 25, 1849 – June 22, 1925) was a German mathematician, known for his work in group theory, function theory, non-Euclidean geometry, and on the connections between geometry and group theory. His 1872 Erlangen Program, classifying geometries by their underlying symmetry groups, was a hugely influential synthesis of much of the mathematics of the day. No Royal Road to Geometry? In an ordinary 2-sphere, any loop can be continuously tightened to a point on the surface. Does this condition characterize the 2-sphere? The answer is yes, and it has been known for a long time. The Poincaré conjecture asks the same question for the 3-sphere, which is more difficult to visualize. I have been following the Poincaré work under the heading of the Poincaré Conjecture. It would serve to point out any relation that would be mathematically inclined to deserve a philosophically jaunt into the "derivation of a mind in comparative views" that one might come to some conclusion about the nature of the world, that we would see it differences, and know that is arose from such philosophical debate. 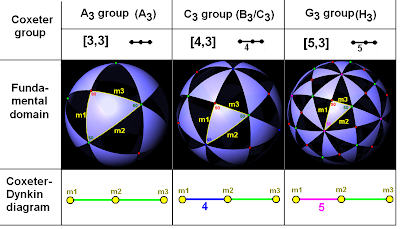 Poincaré, almost a hundred years ago, knew that a two dimensional sphere is essentially characterized by this property of simple connectivity, and asked the corresponding question for the three dimensional sphere (the set of points in four dimensional space at unit distance from the origin). This question turned out to be extraordinarily difficult, and mathematicians have been struggling with it ever since. Previous links in label index on right and relative associative posts point out the basis of the Poincaré Conjecture and it's consequent in developmental attempts to deduction about the nature of the world in an mathematical abstract sense? The scientist does not study nature because it is useful. He studies it because he delights in it, and he delights in it because it is beautiful. an exception which it is necessary to explain. we will not be able to know its original position on the mountain. How simple such a view that one would speak about the complexity of the world in it's relations. To know that any resting place on the mountain could have it's descendants resting in some place called such a valley? By which path, and left to some "Pascalian idea" about comparing some such mountains in abstraction to such a view, we are left to "numbered pathways" by such a design that we can call it "a resting" by nature selection of all probable pathways? Diagram 6. Khu Shijiei triangle, depth 8, 1303. The so called 'Pascal' triangle was known in China as early as 1261. In '1261 the triangle appears to a depth of six in Yang Hui and to a depth of eight in Zhu Shijiei (as in diagram 6) in 1303. Yang Hui attributes the triangle to Jia Xian, who lived in the eleventh century' (Stillwell, 1989, p136). They used it as we do, as a means of generating the binomial coefficients. Even the wisest of us does not realize what Boltzmann in his expressions would leave for us that such expression would leave to chance such pebbles in that valley for such considerations, that we might call this pebble, "some topological form," left to the preponderance for us in our descriptions to what nature shall reveal in those same valleys? Most certainly it should be understood that the "valley and the pebble" are two separate things, and yet, can we not say that the pebble is an artifact of the energy in expression that eventually lies resting in one of the possible pathways to that energy at rest. The mountain, "as a stratification" exists. Here in mind then, such rooms are created. The ancients would have us believe in mind, that such "high mountain views do exist." Your "Olympus," or the "Fields of Elysium." Today, are these not to be considered in such a way? Such a view is part and parcel of our aspirate. The decomposable limits will be self evident in what shall rest in the valleys of our views? Such elevations are a closer to a decomposable limit of the energy in my views. The sun shall shine, and the matter will be describe in such a view. Here we have reverted to such a view that is closer to the understanding, that such particle disseminations are the pebbles, and that such expressions, have been pushed back our views on the nature of the cosmos. Regardless of what the LHC does not represent, or does, in minds with regards to the BIG Bang? The push back to micros perspective views, allow us to introduce examples of this analogy, as artifacts of our considerations, and these hold in my view, a description closer to the source of that energy in expression. To be bold here means to push on, in face of what the limitations imposed by such statements of Lee Smolin as a statement a book represents, and subsequent desires now taken by Hooft, in PI's Status of research and development. It means to continue in face of the Witten's tiring of abstraction of the landscape. It means to go past the "intellectual defeatism" expressed by a Woitian design held of that mathematical world. My present research concerns the problem of topology changing in string theory. It is currently believed that one has to sum over all string backgrounds and all topologies in doing the functional integral. I suspect that certain singular string backgrounds may be equivalent to topology changes, and that it is consequently only necessary to sum over string backgrounds. As a start I am investigating topology changes in two-dimensional target spaces. I am also interested in Seiberg-Witten invariants. Although much has been learned, some basic questions remain, and I hope to be able at least to understand the simpler of these questions. Stanley Mandelstam (b. 1928, Johannesburg) is a South African-born theoretical physicist. He introduced the relativistically invariant Mandelstam variables into particle physics in 1958 as a convenient coordinate system for formulating his double dispersion relations. 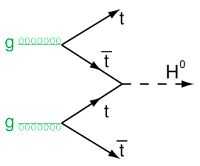 The double dispersion relations were a central tool in the bootstrap program which sought to formulate a consistent theory of infinitely many particle types of increasing spin. Mandelstam, along with Tullio Regge, was responsible for the Regge theory of strong interaction phenomenology. He reinterpreted the analytic growth rate of the scattering amplitude as a function of the cosine of the scattering angle as the power law for the falloff of scattering amplitudes at high energy. Along with the double dispersion relation, Regge theory allowed theorists to find sufficient analytic constraints on scattering amplitudes of bound states to formulate a theory in which there are infintely many particle types, none of which are fundamental. After Veneziano constructed the first tree-level scattering amplitude describing infinitely many particle types, what was recognized almost immediately as a string scattering amplitude, Mandelstam continued to make crucial contributions. He interpreted the Virasoro algebra discovered in consistency conditions as a geometrical symmetry of a world-sheet conformal field theory, formulating string theory in terms of two dimensional quantum field theory. He used the conformal invariance to calculate tree level string amplitudes on many worldsheet domains. Mandelstam was the first to explicitly construct the fermion scattering amplitudes in the Ramond and Neveu-Schwarz sectors of superstring theory, and later gave arguments for the finiteness of string perturbation theory. In quantum field theory, Mandelstam and independently Sidney Coleman extended work of Tony Skyrme to show that the two dimensional quantum Sine-Gordon model is equivalently described by a thirring model whose fermions are the kinks. He also demonstrated that the 4d N=4 supersymmetric gauge theory is power counting finite, proving that this theory is scale invariant to all orders of perturbation theory, the first example of a field theory where all the infinities in feynman diagrams cancel. Among his students at Berkeley are Joseph Polchinski and Charles Thorn. Education: Witwatersrand (BSc, 1952); Trinity College, Cambridge (BA, 1954); Birmingham University (PhD, 1956). Just wanted to say it has been quite busy here because of the work having come back from vacation and preparing for my daughter in law and son's twins, which are to arrive any day now. This statement reminded me of the idea about what is left for some to ponder, while we rely on our instincts to peer into the unknown, and hopefully land in a place that is correlated somehow in our future. This again is being bold to me, because there are no rules here about what a schooling may provide for, what allows an individual the freedoms to explore great unknowns for them. For sure education then comes to check what these instincts have provided, and while being free to roam the world, sometimes it does find a "certain resonance" in what is out there. Is this then a sign of what intellectual defeatism is about? I want to give an example here about my perceptions about what sits in the valleys in terms of topological formations, that until now I had no way of knowing would become a suitable explanation for me, "about what is possible" even thought this represented a many possibility explanation in terms of outcomes. Scientists should be bold. They are expected to think out of the box, and to pursue their ideas until these either trickle down into a new stream, or dry out in the sand. Of course, not everybody can be a genuine “seer”: the progress of science requires few seers and many good soldiers who do the lower-level, dirty work. Even soldiers, however, are expected to put their own creativity in the process now and then -and that is why doing science is appealing even to us mortals. One possible way the Higgs boson might be produced at the Large Hadron Collider. "Observables of Quantum Gravity," is a strange title to me, since we are looking at perspectives that are, how would one say, limited? Where is such a focus located that we make talk of observables? Can such an abstraction be made then and used here, that we may call it, "mathematics of abstraction" and can arise from a "foundational basis" other then all the standard model distributed in particle attributes? The search for a satisfying theory that unifies general relativity with quantum field theory is one of the major tasks for physicists in the 21st century. Within the last decade, the phenomenology of quantum gravity and string theory has been examined from various points of view, providing new perspectives and testable predictions. I will give a short introduction into these effective models which allow to extend the standard model and include the expected effects of the underlying fundamental theory. I will talk about models with extra dimensions, models with a minimal length scale and those with a deformation of Lorentz-invariance. The focus is on observable consequences, such as graviton and black hole production, black hole decays, and modifications of standard-model cross-sections. So while we have created the conditions for an experimental framework, is this what is happening in nature? We are simulating the cosmos in it's interactions, so how is it that we can bring the cosmos down to earth? How is it that we can bring the cosmos down to the level of mind in it's abstractions that we do not just call it a flight of fancy, but of one that arises in mind based on the very foundations on the formation of this universe? 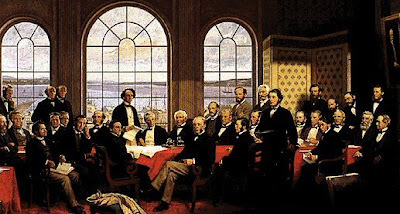 Robert Harris's painting of the Fathers of Confederation. The scene is an amalgamation of the Charlottetown and Quebec City conference sites and attendees. All the colonies which would become involved in Canadian Confederation in 1867 were initially part of New France and were ruled by France. The British Empire’s first acquisition in what would become Canada was Acadia, acquired by the 1713 Treaty of Utrecht (though the Acadian population retained loyalty to New France, and was eventually expelled by the British in the 1755 Great Upheaval). The British renamed Acadia Nova Scotia. The rest of New France was acquired by the British Empire by the Treaty of Paris (1763), which ended the Seven Years' War. Most of New France became the Province of Quebec, while present-day New Brunswick was annexed to Nova Scotia. In 1769, present-day Prince Edward Island, which had been a part of Acadia, was renamed “St John’s Island” and organized as a separate colony (it was renamed PEI in 1798 in honour of Prince Edward, Duke of Kent and Strathearn). In the wake of the American Revolution, approximately 50,000 United Empire Loyalists fled to British North America. The Loyalists were unwelcome in Nova Scotia, so the British created the separate colony of New Brunswick for them in 1784. Most of the Loyalists settled in the Province of Quebec, which in 1791 was separated into a predominantly-English Upper Canada and a predominantly-French Lower Canada by the Constitutional Act of 1791. Following the Rebellions of 1837, Lord Durham in his famous Report on the Affairs of British North America, recommended that Upper Canada and Lower Canada should be joined to form the Province of Canada and that the new province should have responsible government. As a result of Durham’s report, the British Parliament passed the Act of Union 1840, and the Province of Canada was formed in 1841. The new province was divided into two parts: Canada West (the former Upper Canada) and Canada East (the former Lower Canada). Ministerial responsibility was finally granted by Governor General Lord Elgin in 1848, first to Nova Scotia and then to Canada. In the following years, the British would extend responsible government to Prince Edward Island (1851), New Brunswick (1854), and Newfoundland (1855). The remainder of modern-day Canada was made up of Rupert's Land and the North-Western Territory (both of which were controlled by the Hudson's Bay Company and ceded to Canada in 1870) and the Arctic Islands, which were under direct British control and became part of Canada in 1880. The area which constitutes modern-day British Columbia was the separate Colony of British Columbia (formed in 1858, in an area where the Crown had previously granted a monopoly to the Hudson's Bay Company), with the Colony of Vancouver Island (formed 1849) constituting a separate crown colony until its absorption by the Colony of British Columbia in 1866. John A. Macdonald became the first prime minister of Canada. The shear number of people in the United States at approx. 200 million,can be an reminder of what "we", in the approx. same land mass of Canada can be compared to the United States. Our paltry 36 million "being overshadowed" might be better understood from that perspective.